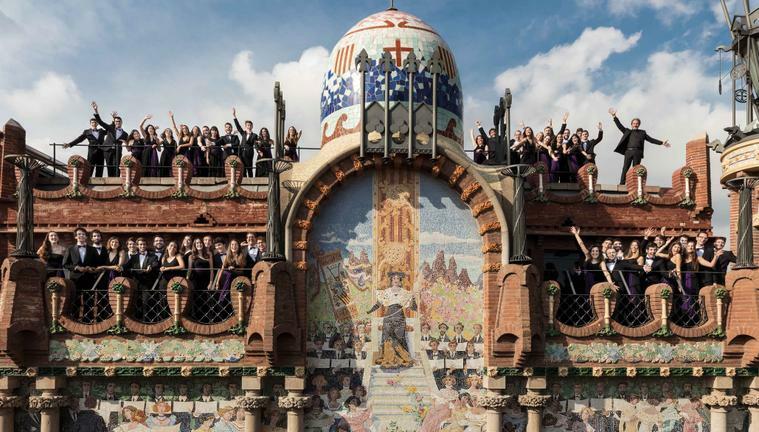 A total of 61 singers aged between 16 and 25, most of them coming from the children’s choirs in the Escola, form the heart of the Cor Jove de l'Orfeó Català. Their training continues to be structured around singing classes and weekly rehearsals, culminating in a concert programme involving some twenty performances a year. The Cor Jove is part of the Palau de la Música Catalana programme and of festivals all over Catalonia, and carries on exchange activities with other national and international choirs and orchestras, with the aim of enriching their musical education and fostering the young singers’ personal development.